LIKE skinning a cat, there’s more than one way to shear a sheep. This I know because in September I climbed a Spanish mountain with an expert sheep shearer who had been taught his craft by a shearmaster. In the course of an afternoon, beneath a blazing Spanish sun, I became an expert in shearing and skirting without laying a finger on a sheep. How many strokes, or movements, does it take to shear a sheep, eh? Bet you don’t know. It depends on whose technique you use, or which school of sheep-shearing you subscribe to. Intriguing subject. It would be nice to say my shearmaster was an olive-skinned Andalucian named something appropriate such as Senor Merino – but he was a taxi driver and former irrigation engineer from Norwich called Bruce and I was renting his casita. He knew his stuff though. 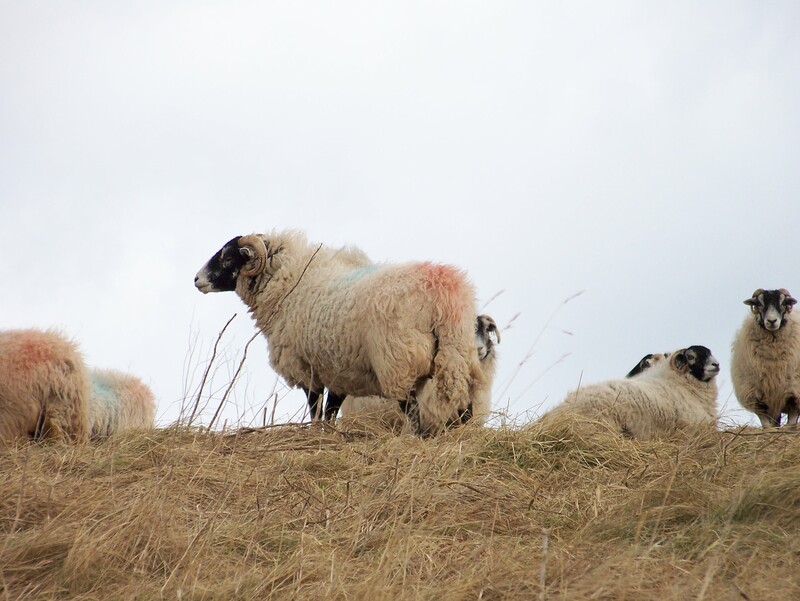 Today, back in the Pennines, I’ve got a new camera. And there are lots of sheep about. 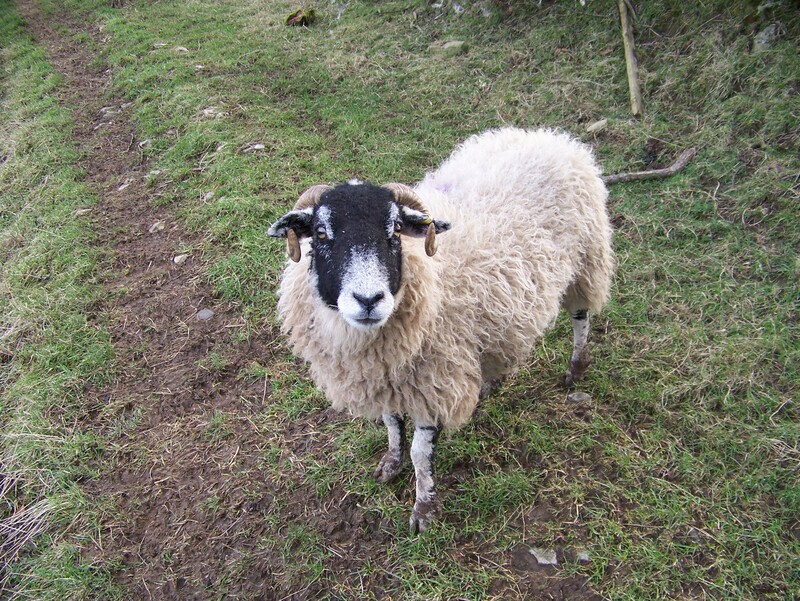 That’s why there are lots of sheep pictures on this page. With my new-found knowledge, I am looking at sheep in a different light. My destination is Nine Standards Rigg from the village of Hartley, on the edge of the Cumbrian market town of Kirkby Stephen. I take the road past Hartley Quarry, which was opened in 1926 to feed the iron industry on the outskirts of Sunderland with high-grade limestone. A short branch line joined the Darlington to Tebay railway just below the quarry entrance, where there are a couple of fine 19th Century viaducts. Down on the quarry floor the fellas are working in their dumpers, shuffling stuff about. The upper benches have been long abandoned. It’s an interesting spot. If you find quarries interesting, that is. I hit the fell tracks to Faraday Gill, with open views across Kirkby Stephen and the Eden Valley. 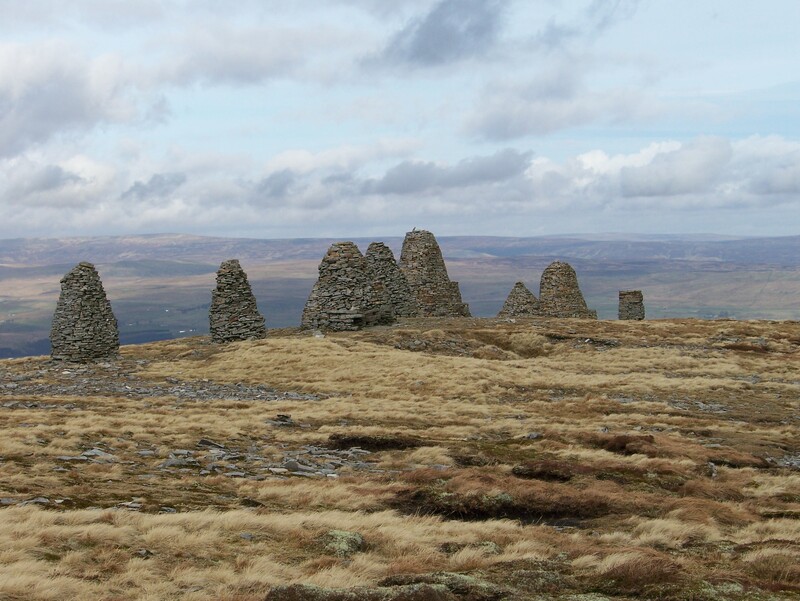 In hardly no time at all I am on the summit of Nine Standards Rigg and sheltering behind the biggest of the cairns – the standards – from a gale howling in from the Cumbrian fells. 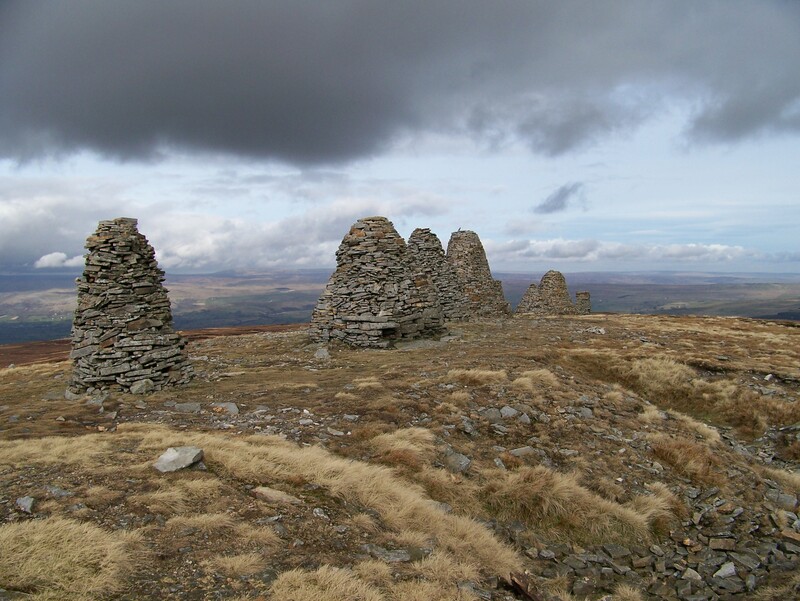 No one knows the origins of the nine spectacular cairns that give their name to the fell. They are of uncertain antiquity, and there are various theories as to why they were built and who was responsible for their construction. One theory is that they were built by the Romans to look like soldiers from a distance. Er, why? The Romans didn’t need to scare anyone with stone men, they were scary enough themselves. And if you were a belligerent Briton, wouldn’t you cotton on – after you’d been watching them an hour or two – that not a single one was moving? And wouldn’t you think: they’re not shaped like men, they’re shaped like cairns? Also, if you and your mates were intent of sacking one of the many Roman forts in the area, would you be discouraged by the sight of an army on the top of a hill in the middle of nowhere? No, you would think: let’s sack Verteris, because all the Romans are on top of that hill and can’t touch us. Haway. A similar theory maintains they were built to deter marauding Scots. Evidently the English used to think the Scots couldn’t tell the difference between a man and a rough heap of stones. Apparently that’s why Bonnie Prince Charlie only got as far as Derby. The answer might be found in this book, Nine Standards: Ancient Cairns or Modern Folly? by Doctor Stephen Walker, but as I haven’t read it, I can’t divulge its secrets. Still, the standards are very impressive. I take loads of pictures with my new camera, have a cup of tea and a bite to eat, then head across Nateby Common, above right, in a pleasant though extremely cold afternoon. 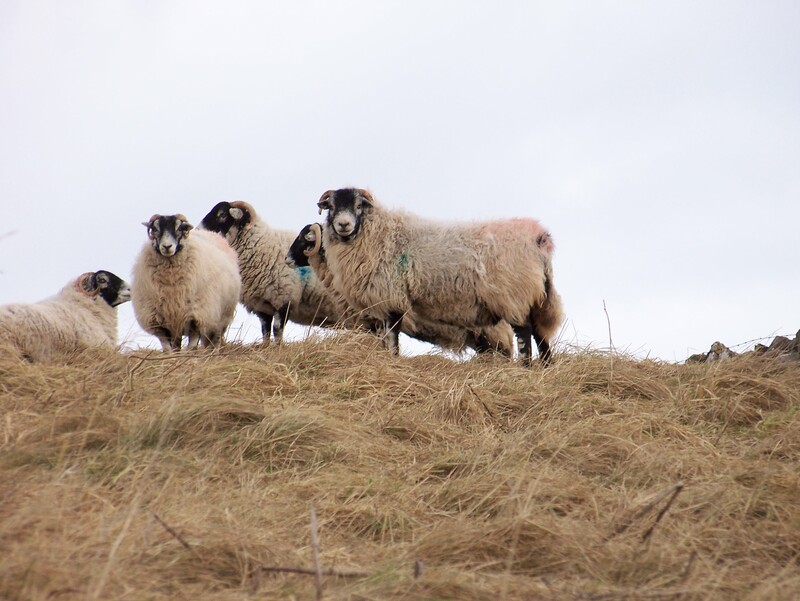 After straying among another herd of sheep and taking more pictures, I return along the old trackbed of the Darlington to Tebay railway, which has been turned into a trail by the people of Kirkby Stephen. 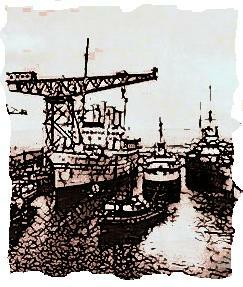 It crosses the two viaducts and passes a brick-built shed now serving as an information point, with pictures from the early quarry and railway days and snippets of history, which are absorbing. Back home, after singing a duet with the delightful Alice Bauer on the drive back across the A66, I sit down to an equally delightful Lancashire hot-pot made with juicy lamb chops. Interesting how the world goes round. 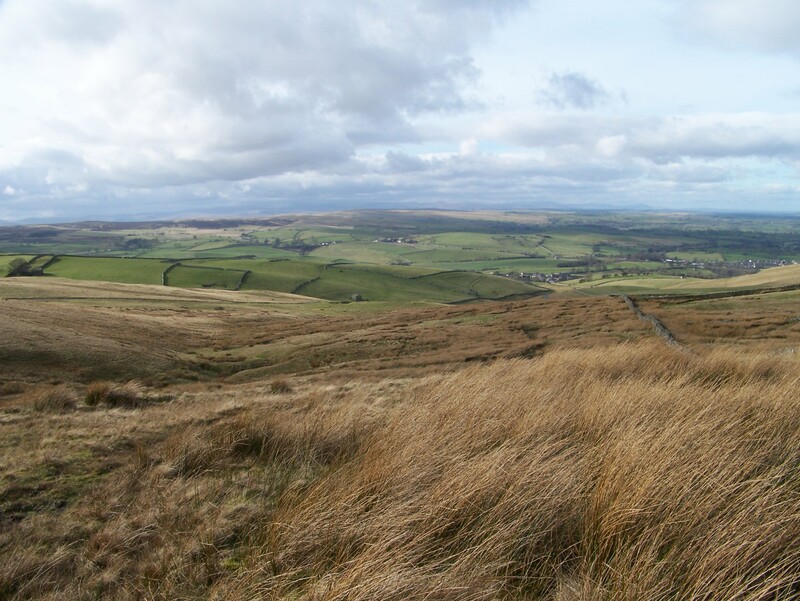 This entry was posted in Hiking, Walking and tagged Pennines, The Lakes. Bookmark the permalink.